The newest family in our Raving Fan series is the Ruyf family. 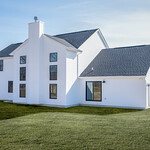 John and Megan Ruyf just finished building their Jamestown Family in December 2018. This lovely family of four worked with the Newark office, and Sue Crow was their New Home Consultant. Read on to learn more about their experience building with Wayne Homes. Why did you choose Wayne Homes as your builder? I think it was the immediate interaction with Sue. She made us feel like we were family, and made us comfortable. Honestly, she made it such a personable experience that it just felt right from the beginning! 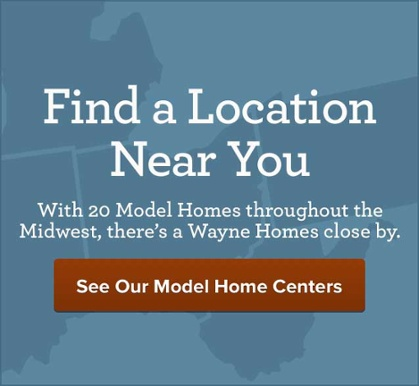 Which Wayne Homes floor plan did you choose? What’s your favorite custom feature? It was actually a combination of things. We loved the 42″ cabinets for the kitchen, but they looked even better when we chose to raise the ceiling on the first level to 9′. It really highlighted the cabinets and made the entire kitchen feel that much larger. How do you and your family spend time in and around your home? We spend every day here. Megan is a stay-at-home mom to the girls. John works from home for his employer out of Cleveland. 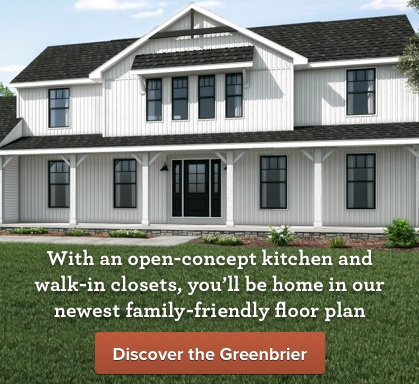 What was the best part of your Wayne homebuilding experience? The absolute best part of Wayne Homes is the people that work for them. Every person you interact with truly cares for you and wants the best for you. It isn’t a show or fake, either. It is absolutely genuine. What would you tell your friends about Wayne Homes? I would tell them to go to an initial meeting and just sit down and talk to them. I am very confident that they will feel welcomed and that they can find a home that can fit in their budget and meet all the needs for their family! How many kids are in your family and what are their ages? We have 2 daughters. Mayla is three and Emersyn is one. Do you or anyone in your family have any special talents or hobbies? A warm and heartfelt thank you to the Ruyf family for sharing their experience. 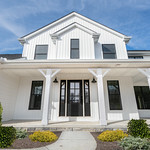 We are glad you chose Wayne Homes to build your perfect home. Ready to see what all the buzz is about? Contact us to learn more about how easy and surprisingly affordable it is to build the custom home you’ve been dreaming of with Wayne Homes.